Wirt, Sherwood Eliot. 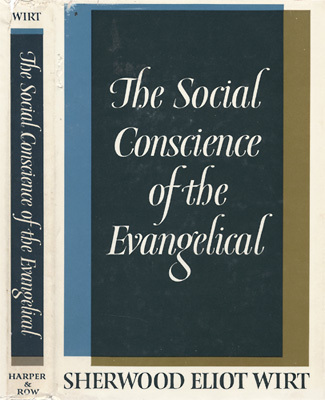 The Social Conscience of the Evangelical. New York: Harper & Row, . xiii, 177 p., 22 cm. Dust jacket design.